When conducting your search for licensed roofers in Orlando it is important that you choose from Orlando roofers that have an established track record in the area. Janney Roofing is one Orlando roofing company with a reputation that has stood the test of time. 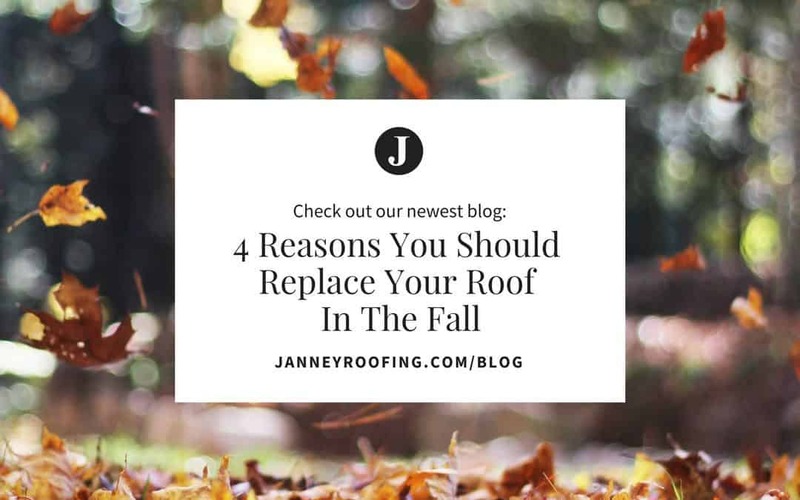 Here are the four main reasons that fall is the perfect time to give Janney Roofing a call. Most severe weather events that damage roofs in the Orlando area happen during the summer hurricane season. Fall is the perfect time to get an assessment of any damage that may have been done to your roof during the storm season and deciding what repairs might be necessary. The drier climate that the fall season brings is also a benefit because roofing contractors will lose fewer days of work due to weather issues. Fall weather conditions are perfect for replacing your roof. This is especially true when using asphalt shingles which just so happens to be the most frequently used roofing supplies in the United States. Fall weather conditions allow for the proper thermal sealing of the shingle’s seal strips. Also, the cooler weather that fall produces versus summer will allow roofing contractors to work more efficiently. Cooler temperatures can cause shingles to become brittle and more vulnerable to breaking when being nailed to the roof. When this happens roofers may be forced to discontinue use of roofing guns and nail the shingles by hand. The extra labor and increased cost of roofing supplies can increase your final bill. Stormy weather winter months can increase damage to a roof that already exists. Holes can grow in size and leaks tend to get worse. Heavy rainfall on a roof that is already compromised can cause serious damage. Janney Roofing is a family owned and operated company servicing the Orlando, Florida area. The foundation that Janney Roofing was built on is honesty, quality, and integrity. The Janney family has long been an integral part of the cultural fabric of the Orlando area. We have worked closely with churches and the non-profit World Hope in an effort to give back to the community we love. We are Orlando Roofers and we take as much pride in the work we do as we take in our last name.